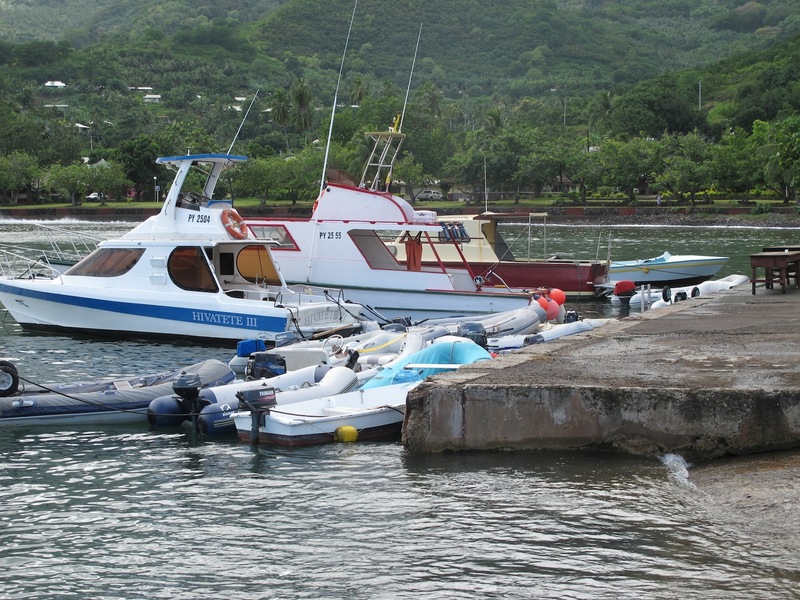 the cruisers’ hang-out on the quay – free wifi!! 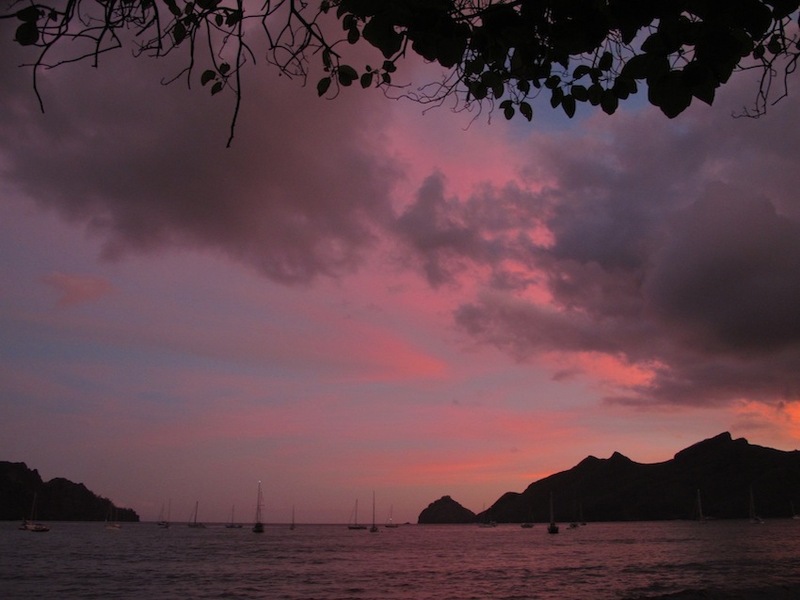 When Europeans first came to these islands in the 1500’s, the population was almost 100,000 but as with many other first contacts, they also brought their deadly diseases of flu, smallpox and venereal disease, wiping out the local population almost to the point of extinction. 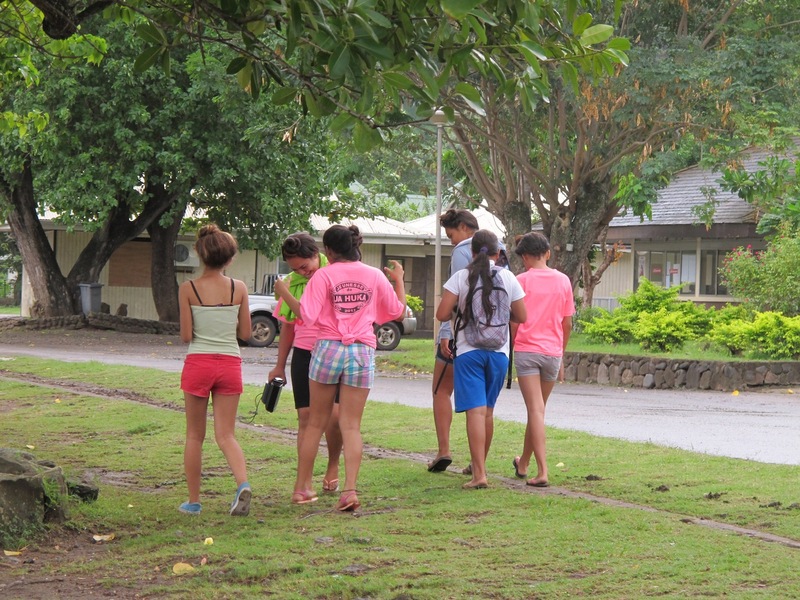 Today on the island there is a mix of local-born Marquesans, Tahitians and French nationals, with the international cruisers adding to the mixing pot. We counted 52 cruising boats in the anchorage during our stay! The juxtaposition of modern and traditional culture was more obvious here than on any of the other islands we’ve visited so far. 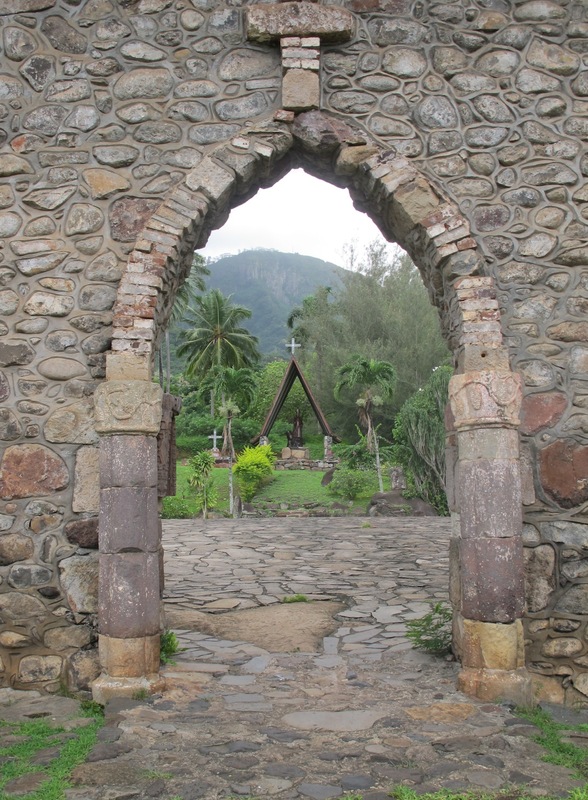 When the Christian missionaries arrived in the 18th century they set out to systematically overturn the local culture and customs, destroying tikis and banning many of the Marquesan beliefs and rituals. 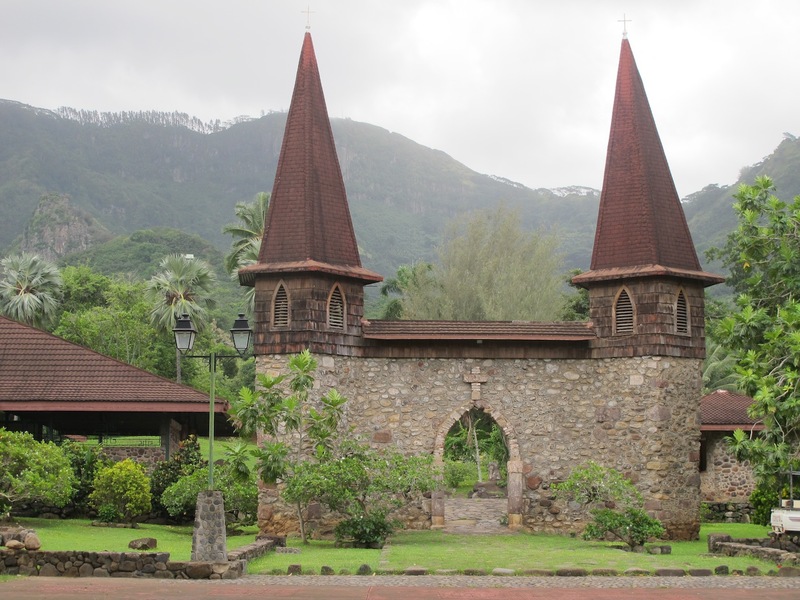 As a result, over 90% of the population is now Catholic, and there’s a very attractive ‘cathedral’ in Nuku Hiva that’s crowded to the rafters on Sundays. 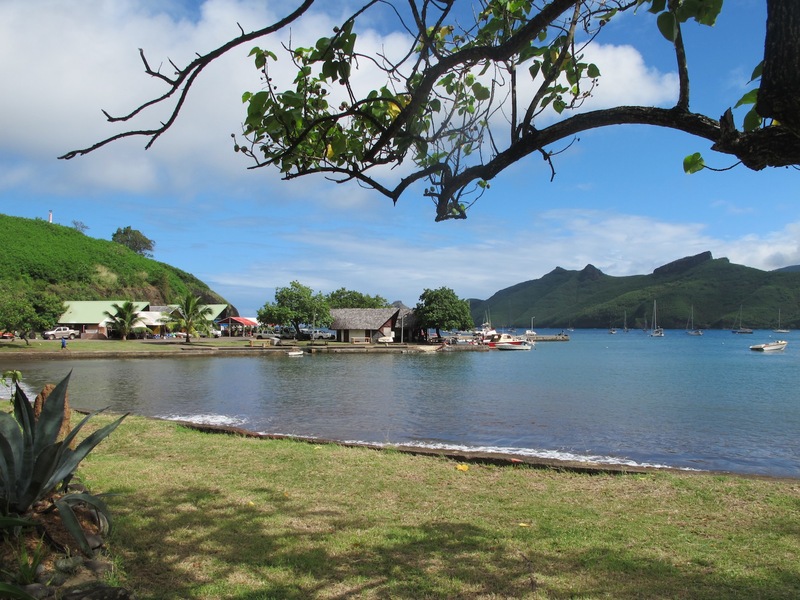 The good news is that in the last twenty years there’s been a strong movement to preserve the traditional Marquesan culture. 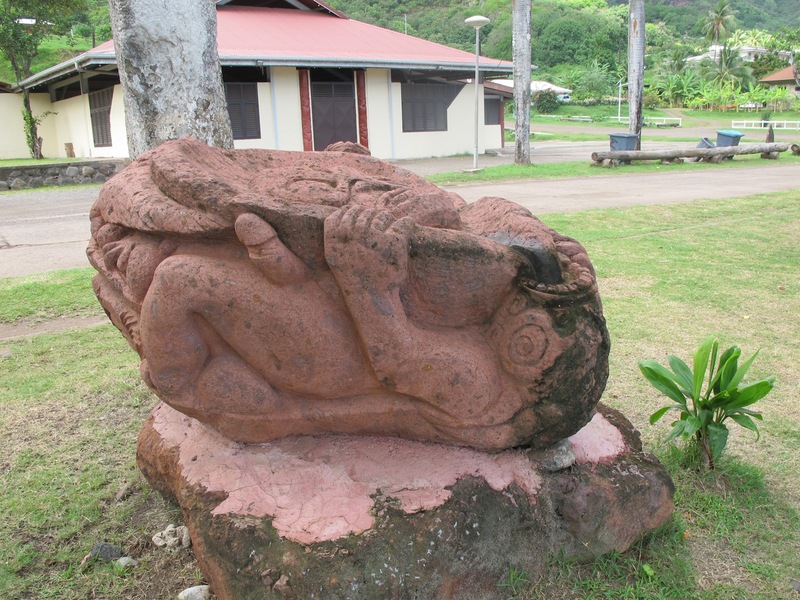 The local language is now taught in school, and on the foreshore at Taioha’e there is a cultural park with many beautiful Tiki carvings and historical information. 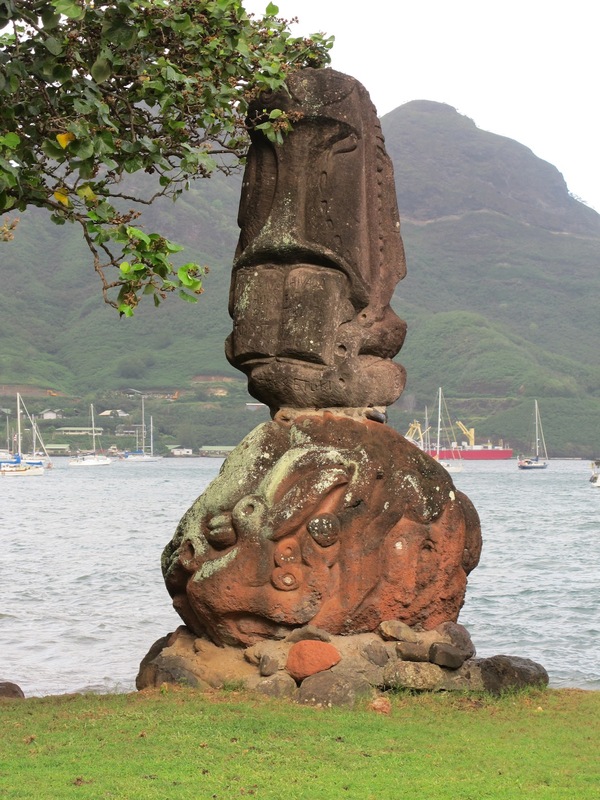 In fact, modern Tikis can be found everywhere in town (most distinctly phallic in nature) symbolising power, creativity, and the cycle of life. I’m not sure Manly Council would approve this on the Corso! 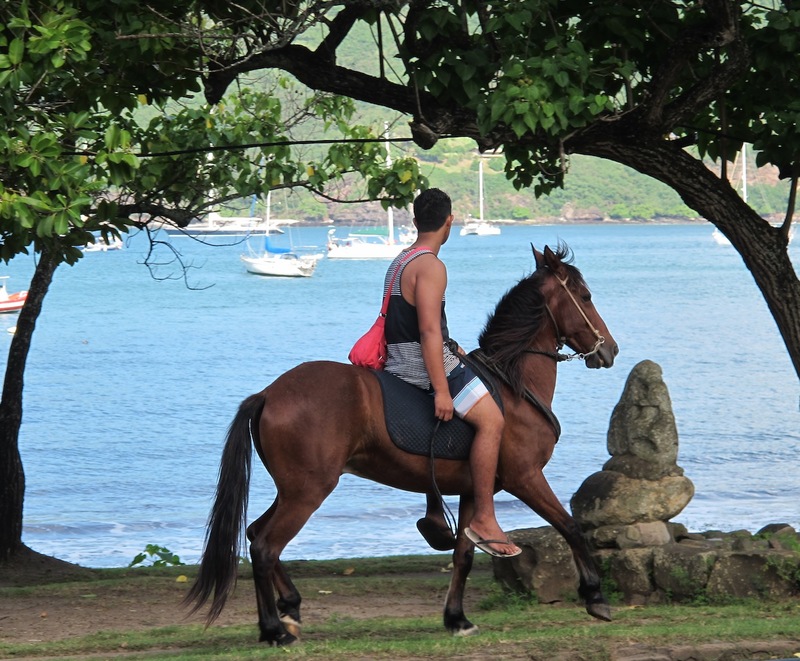 Horses are still a major form of transport on the island – it was interesting to see hitching posts along the main road, and riders mixing it up with the 4-wheel drive pick-ups. 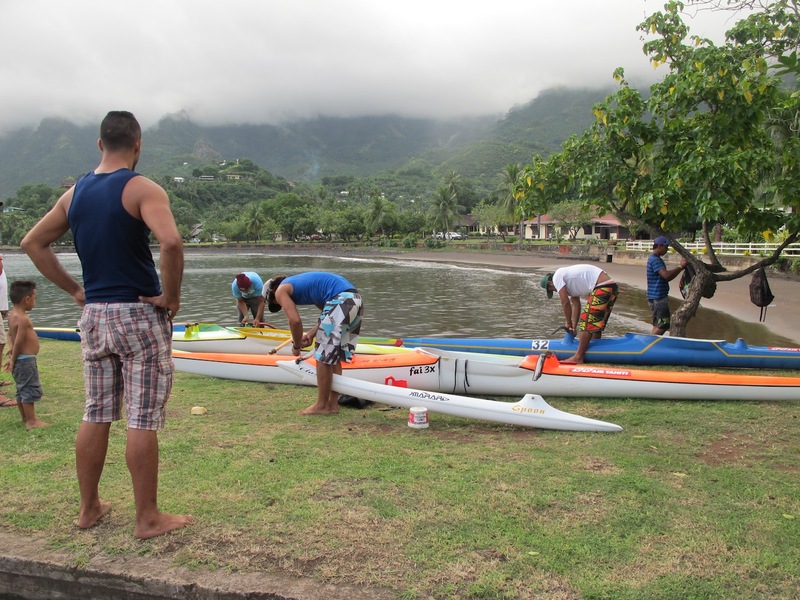 There was also a major inter-island paddling competition on the weekend we arrived. 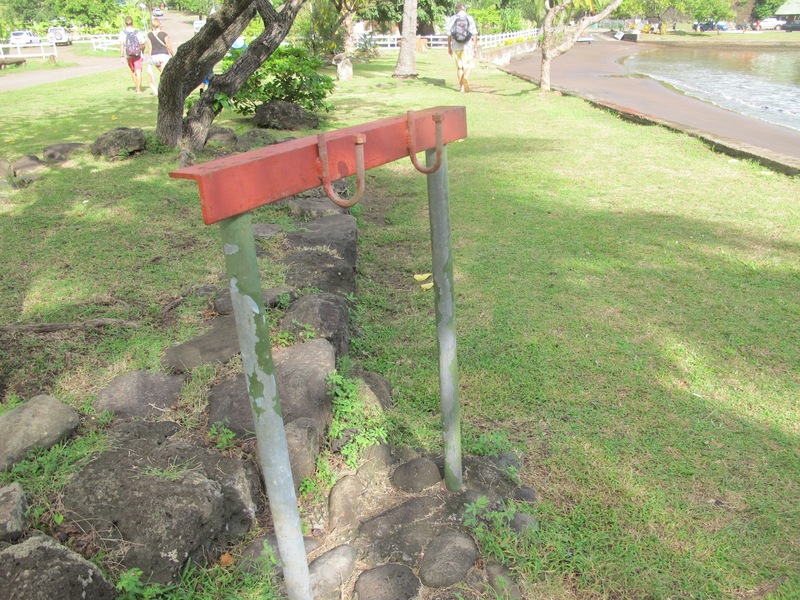 But no traditional outriggers here – they were all very high-tech carbon fibre machines. 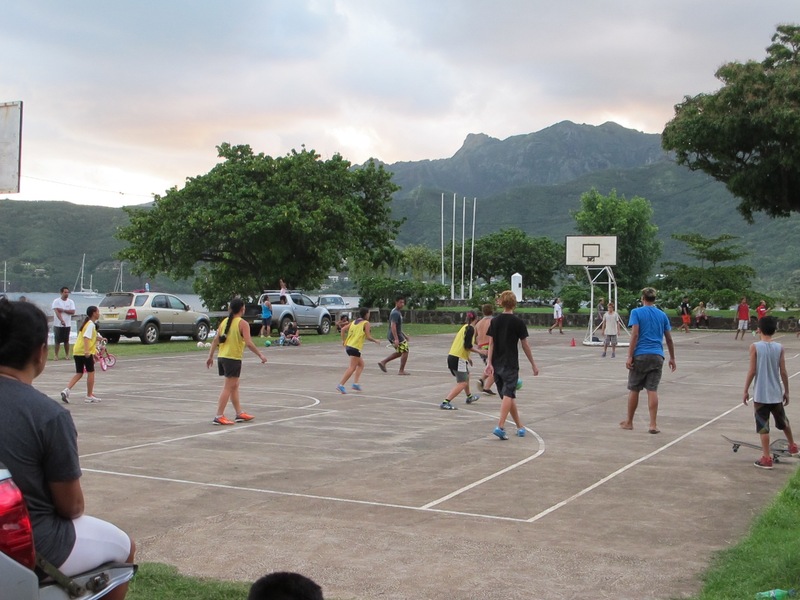 The youngsters are like youngsters the world over – enjoying their beat-box music, playing 5 a-side soccer and hanging out with their friends. The Saturday before we left we were told there was going to be a music festival – we were expecting traditional music and dancing, but it turned out to be more of a local talent quest. 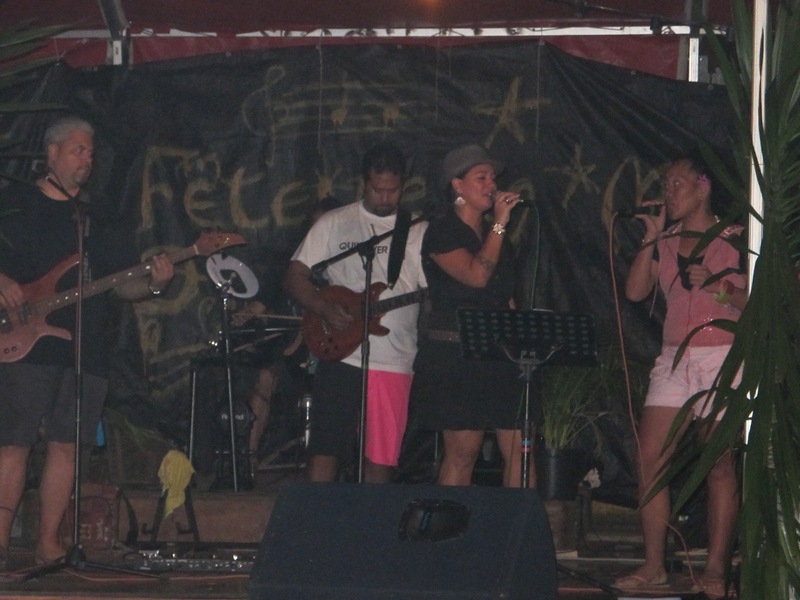 There’s something very weird about hearing ‘Psycho Killer’ by Talking Heads sung in French by Polynesians! 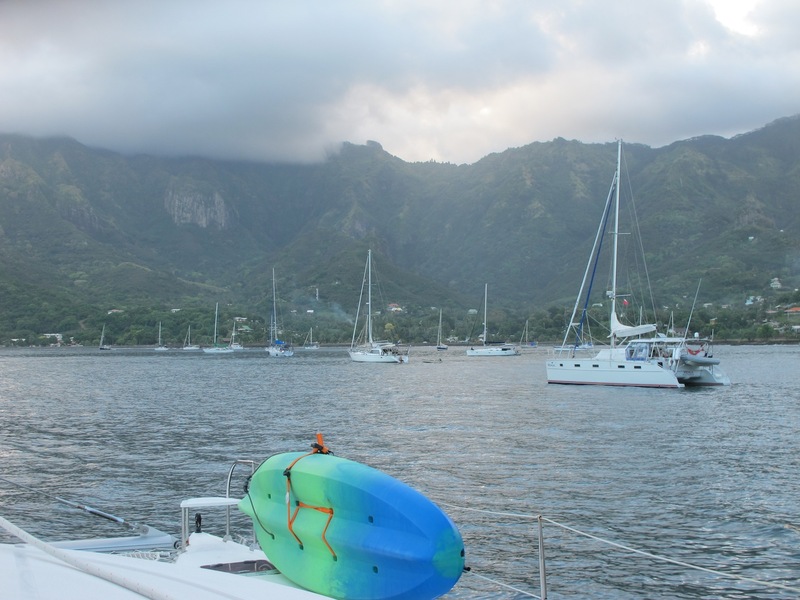 Most of our time here has been spent on necessary jobs – Kevin, from Yacht Services is the local ‘go-to’ guy here and organises everything from laundry to fuel to repairs. He came out to Toucan to have a look at our recalcitrant fridge and re-gassed it, which seems to have done the trick thankfully. 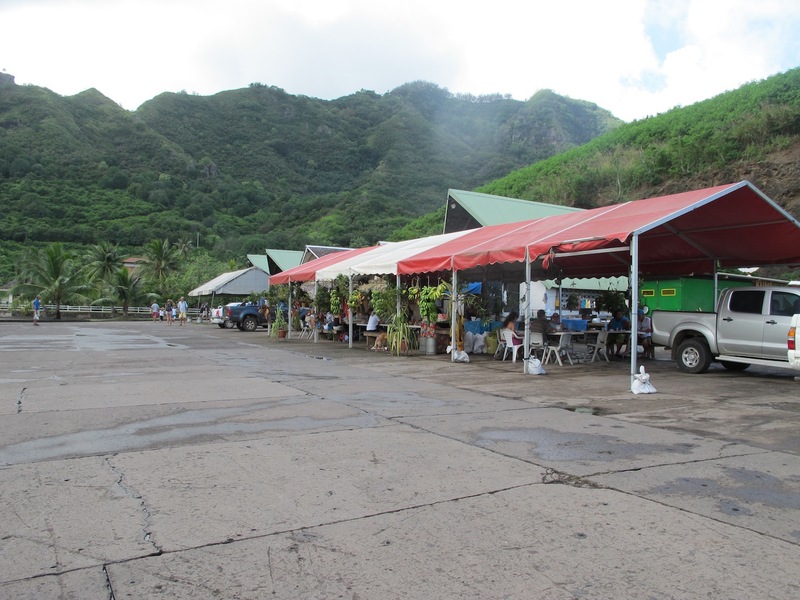 Everyone on the island was waiting for the fuel supply ship which had been delayed due to strikes in Papeete. Finally it arrived and we were able to get our propane tank and fuel tanks filled. Yay, the fuel supply ship arrives! There’s also been the inevitable catching-up on internet. 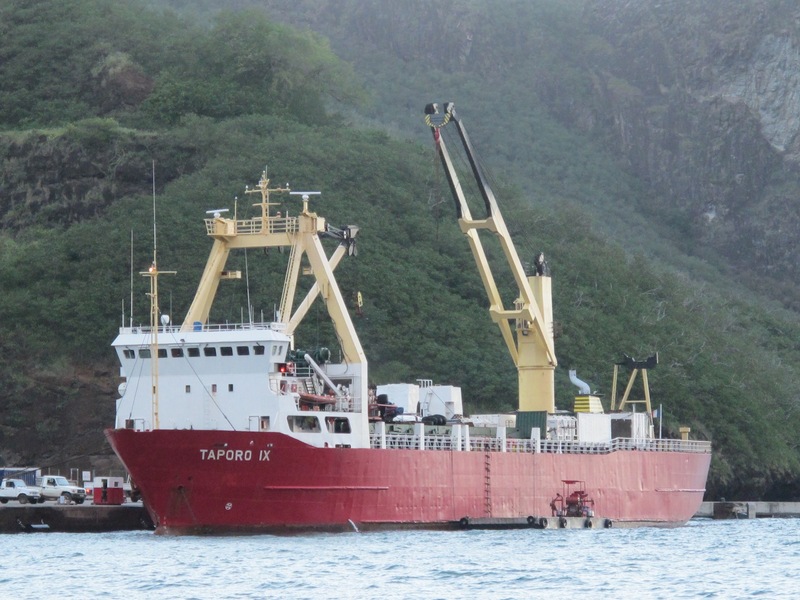 We have to pay for it, but at least we can get it in the anchorage so no need to go hunting internet ashore. The anchorage itself is not that pleasant – a lot of swell comes in and together with the constant rain squalls it makes for quite an uncomfortable ride. 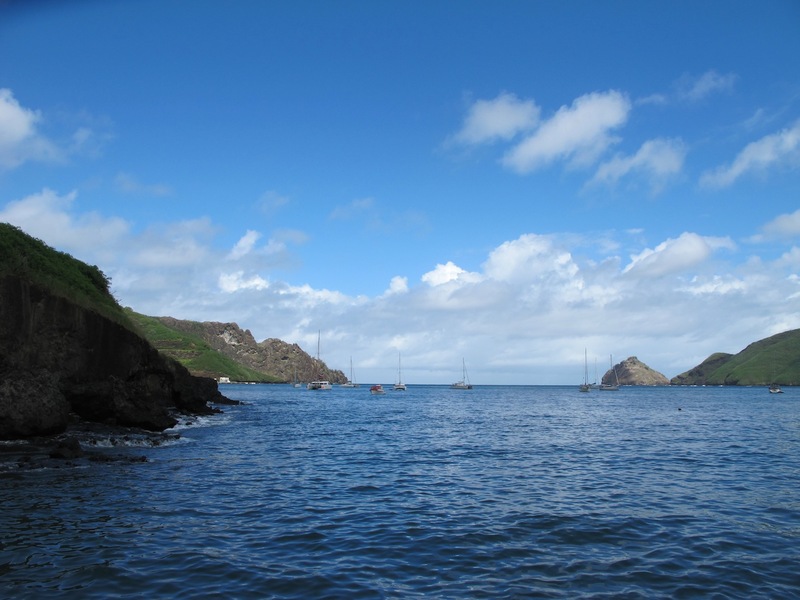 The water is also pretty murky so we haven’t felt inclined to swim or snorkel, particularly when we saw the number of sharks hanging around the quay waiting for the fishermen’s scraps! 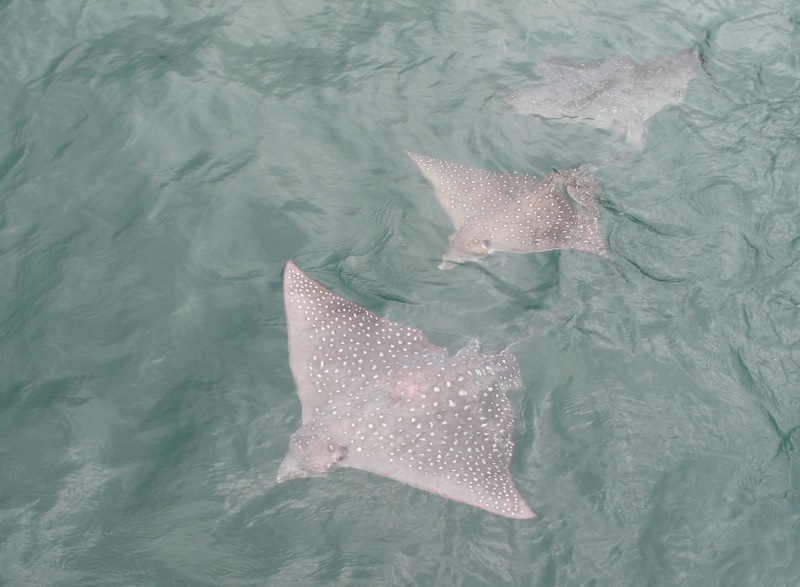 But there’s a mass of marine life here – huge manta rays feeding in the bay, and one morning we were treated to a wonderful display from spotted eagle rays. We’ve got enough provisions and fuel now to hopefully tide us over for the next few weeks while we’re in the remote Tuamotus archipelago. We have high hopes of finding some beautiful atolls with clear skies and water where we can indulge our passion for diving. Bring it on!